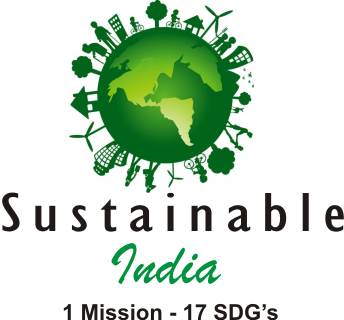 Formed by a group of like-minded individuals with the intention to make an impact in the lives of the common man, SSD has been conceived with a common belief: “Reduce Carbon Footprints by Changing the Consciousness of the Human Society”. 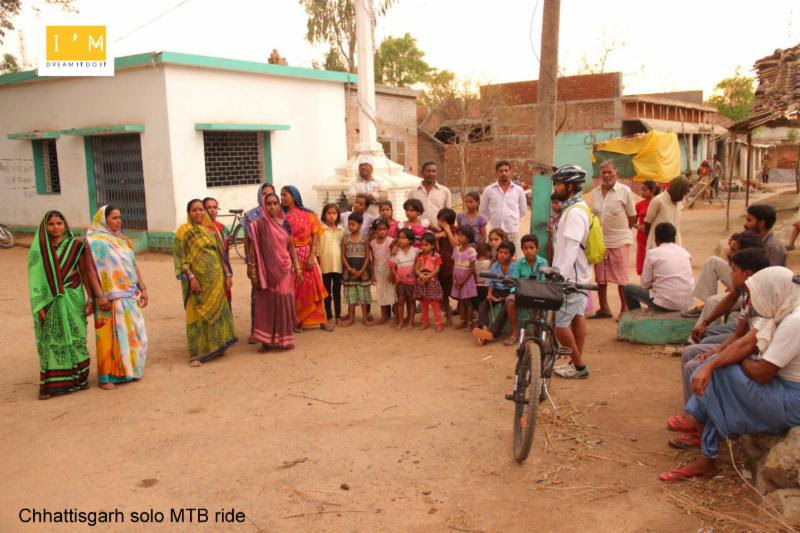 Mrinal, on his MTB cycle pedalled his way through various districts of Chhattisgarh & Madhya Pradesh to bring awareness among the people to adopt sustainable practices and to analyze through a survey the social and environmental issues and developments of the region. A team headed by Sanobar Khan traversed the villages of Chhattisgarh to foster the vision of Mahatma Gandhi of clean India and Swachh Bharat mission of government of India. 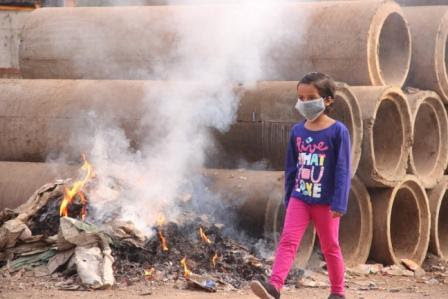 A seven year old girl, Adeena along with other children of Raipur grapples with air pollution problem daily because their city is among the most polluted cities of the world. 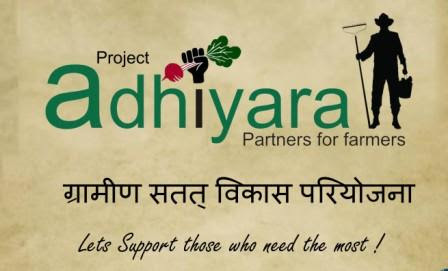 She initiated Freedom to Breathe campaign to raise awareness among the people of Raipur. Tulsi (Holy Basil) is not confined to cultural values but it has lot to offer to human and environment. Tulsi plays a vital role in boosting immunity, fighting bacterial and viral infections, detoxifying body etc. 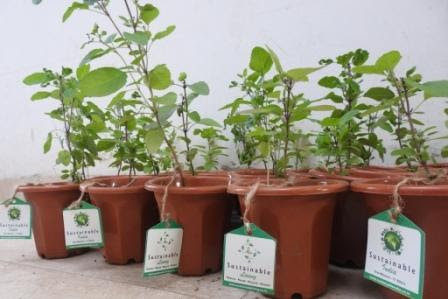 Tulsi is among some of the unique plants which exhales oxygen more 20 hours a day. Having come to know the immense benefits of Tulsi for humans and environment, we have initiated Har Ghar Tulsi Abhiyan to motivate people to plant Tulsi as much as possible. 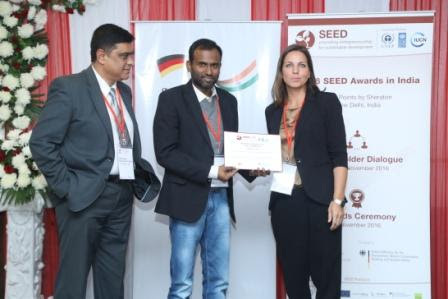 Our offshoot enterprise, SUSTAINABLE LIVING, was selected as an Exceptional Eco-inclusive Enterprise by SEED (UNDP, UNEP & IUCN), represented by Moinuddin Ali Khan & Junaid Wahab Khan. Sustainable Living is a cohesive business and conservation marketing platform for all sorts of eco friendly products and services.